It’s no exaggeration when we say that an ankle injury needs to be treated properly and healed completely with rest and physical therapy before you go back to your routine. Yankee Derek Jeter is a case in point. If you recall, last October Jeter broke his left ankle in Game 1 of the ALCS. For about thirty days prior to the break, he was playing while nursing a bone bruise in the same area. Since then, he’s had surgery and physical therapy to repair the fracture. In March, Jeter reported that his ankle was fully healed and that he would be in the Yankees lineup opening day. But on April 12, Yankees general manager Brian Cashman reported that Jeter now has a crack in his ankle in the same area as the previous injury and is benched until the all-star break. Jeter said he was unsure when he suffered the new fracture, which is in the same bone he broke during last season’s playoffs. Jeter is 39 years old – just about over-the-hill if you play professional sports. During games, the demands on his feet and ankles are intense and the older we get the more difficult it is for our bone structure to hold up under this pressure. Exactly, there’s no way to tell. Jeter describes a typical scenario for many professional and weekend athletes: playing with pain, dismissing a potential injury. That’s never a good idea, especially when you’re already injured. So the lesson here is that if you feel pain in your ankle, don’t assume it’s just a little soreness that will go away. Have it checked out by a podiatrist at your first opportunity for a thorough diagnosis. Perhaps it is just a little irritation that will clear up with rest, but it might also be a fractured ankle… again. It wasn’t an unusual play for Derek Jeter. Fielding a ground ball during the 12th inning in Detroit Saturday night during Game 1 of the ALCS, Jeter took four steps to his left and with his left ankle twisting under him, fell to the ground. As he flipped the ball to 2nd baseman Robinson Canoe, it was obvious that the long term Yankees short stop was in great pain. There he lay, unable to get back on his feet until he was helped off the field, left leg dangling, by manager Joe Girardi and trainer Steve Donahue. After a series of x-rays in the clubhouse it was announced that Jeter, 38, had broken his left ankle and would be out for the rest of the season. On Sunday, after a CT scan and MRI, it was announced that he would have surgery to repair the fracture in the coming few weeks. This marks the first time since Jeter became a Yankee in 1996 that he will miss post season play. Since September, Jeter was nursing what was described as a “bone bruise” on his left ankle from a foul ball, and there’s speculation that this may have contributed to the ankle fracture. Usually, the decision to perform surgery is based solely on x-rays. 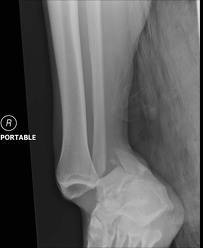 Early indications are that the fracture is confined to the tibia, known as the shin bone, but the additional CT and MRI studies may suggest additional soft tissue damage to tendons or ligaments around the ankle. How long will it take for Jeter to make a full recovery? The usual healing period for a fracture of this nature is about 8-10 weeks, including physical rehab. But for a shortstop, an additional 2-3 weeks are required to condition the repaired area to take the stress of the quick lateral movements the position requires. Covering that stretch between 2nd and 3rd base requires more side-to-side movement than any other position in baseball. The good news is, Jeter will have the entire off season to recover and should be ready for training camp in the spring. Jeter, whose ankle has been placed in a splint and is walking with crutches, was not at Yankee Stadium on Sunday and will not travel with the team to Detroit. Before the injury, Jeter was having an incredible year, batting .316 in the regular season, with 216 hits. He carried that over into the postseason, batting .364, the highest of any regular in the Yankees lineup. Jayson Nix will replace Jeter at shortstop. Without Jeter in the postseason, do you think the Yankees will advance to the World Series? BONUS: Here’s a surgical video showing one technique used to repair an ankle fracture. Note that there is never a one size fits all option for surgery. The nature of the injury, the patient’s lifestyle, and the extent of the damage, are all considered by a surgeon when determining the methods by which an ankle is repaired. Monday night was the second night of Joba Chamberlain’s return to the mound for the New York Yankees after more than a year away from the game. You’ll recall that last June, Chamberlain suffered a possible career ending torn ligament in his elbow which required the every-pitcher-dreads-it Tommy John surgery. Then, in March of this year, as he was only one month shy of returning to the lineup, he dislocated his ankle while playing with his son on a trampoline. It was an ugly dislocation, too – the bone broke right through the skin and Joba required surgery and physical rehab to correct it. 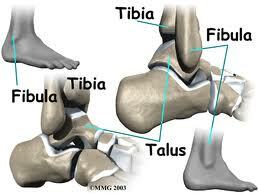 Three bones make up the ankle: the fibula (outer), the tibia(inner) and the talus(center). All three are held together by just one ligament, the syndesmosis. When the ankle becomes dislocated, the talus separates from what we call the “socket”, and when it comes out, there’s a good chance it will also rip the skin open, which is known as an open dislocation. This is what happened to Chamberlain. Along with opening the skin, the dislocation can also fracture or break the bones around the ankle, tear the tendons, and damage the ankle joint or the subtalar joint, which allows the foot to move in and out. It can become a big mess pretty quickly. Chamberlain was rushed to surgery for the open dislocation and stayed off his feet for 8 weeks, allowing the ankle and the skin around it to heal. At a physical rehab center in Tampa, he spent 8 more weeks working out, stretching, resting and healing. By July, he was pitching in minor league games to get his mojo back and to strengthen his elbow and ankle. That is an incredibly fast return from such a severe injury, considering that his Doctors were very doubtful if he would ever pitch again, much less this season, according to their statements after his ankle surgery. Yet here he is, getting back to his almost 100 mph fastball just a little over four months later. The guy is Superman. I have to caution you that a dislocated ankle of any degree is a serious injury. Don’t be foolish and try to correct it like you’ve seen in the movies – someone pulls your leg tight and snaps it back into place. That stuff is strictly Hollywood. No matter how mild or severe you think it may be, you definitely need to see the sports injury specialists at PA Foot and Ankle Associates as soon as possible for a complete diagnosis and course of treatment. 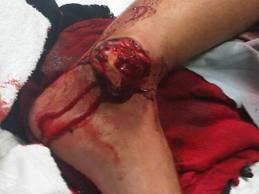 If you want to see a picture of an open dislocation of an ankle, click here. Not for weak stomachs. Yankee starting pitcher Andy Pettitte takes a line drive to the ankle! It’s a sad week for Yankee Nation. Not only is CC Sabathia out of the starting lineup with a groin injury, but now starter Andy Pettitte is out after a line drive fractured his ankle. It’s estimated that Pettitte won’t return until September. Two starting pitchers down in one week – think manager Joe Girardi is managing a bottle of antacids right about now? Pettitte, 40 years old, was bringing the fire against Cleveland Wednesday night, allowing only two runs on three hits and one walk. He had struck out seven of fifteen. Then, in the top of the 5th inning, Casey Kotchman hit a laser-like line drive into Pettitte’s lower left shin (see a video of the line drive to Pettitte’s ankle here). Pettitte took a step towards the ball and went down on the infield grass. Pettitte didn’t think much of the injury at first and stayed in the game. But as soon as he threw his next game pitch, “I just had an awful lot of pain running all the way down to my foot,” he said. Out he went. Word from the Yankees is that Pettitte suffered a fracture of his left fibula, the smaller of the leg bones which connect with the ankle. Pettitte is a left hander, so an injury to the left ankle is far more trouble than an injury to the right. All lefties use their left foot to push off the mound. The left foot pivots during the wind-up and release, which puts enormous stress on the foot, ankle and leg. If all of the parts aren’t cooperating 100%, it will impact his precision, which is one thing Pettitte has in spades. At the moment, the Yankees plan on moving Freddy Garcia into rotation and calling up Adam Warren from the Scranton triple-A team for a few starts. The fibula is the smaller of the long bones in the lower leg. 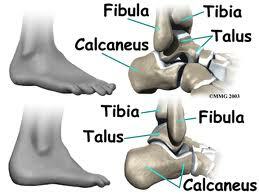 It forms joints with the longer bone of the leg (the tibia) and the talus in the ankle. The Yankees medical staff reports that Pettitte’s injury is not a “displaced” fracture (meaning a clean break), so Pettitte won’t need surgery. He’ll be in a protective boot and walk on crutches until his shin and ankle heal. Ankle fractures are a very significant injury for athletes and without proper healing and rehabilitation, the chance of re-injury, especially at 40, can be significant. Pettitte, who has a 243-141 career record, is in his 14th season with the Yanks. With Pettitte out, Derek Jeter is now the only Yankee on the field from the club’s Core Four of players who won four World Series titles from 1996-2000. As of today, the Yanks are 1st place in the AL East, with Baltimore 5 games behind and Boston 6 games behind. With Pettitte out for 8 weeks and Sabathia out through the All Star break, what do you think the Yanks chances are of holding onto their lead?